PEEL the shallots and divide them into thin half rings. 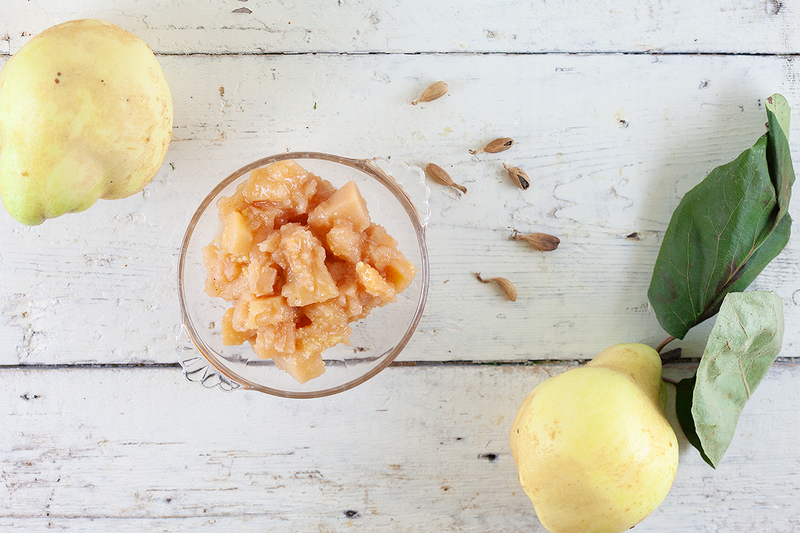 PEEL the quinces, remove the core and chop into pieces. Make sure the pieces aren’t too large, but also not too small. CRUSH the cardamom pods, this way the flavors will enhance. HEAT a knob of butter in a pan and sauté the shallots shortly. 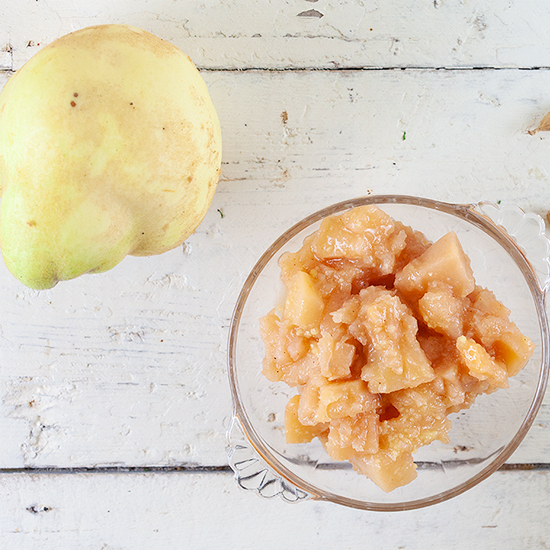 ADD the pieces of quince and cook them a few minutes more. ADD the spices and apple cider vinegar and let it simmer for about 5 minutes before you also add the sugar. 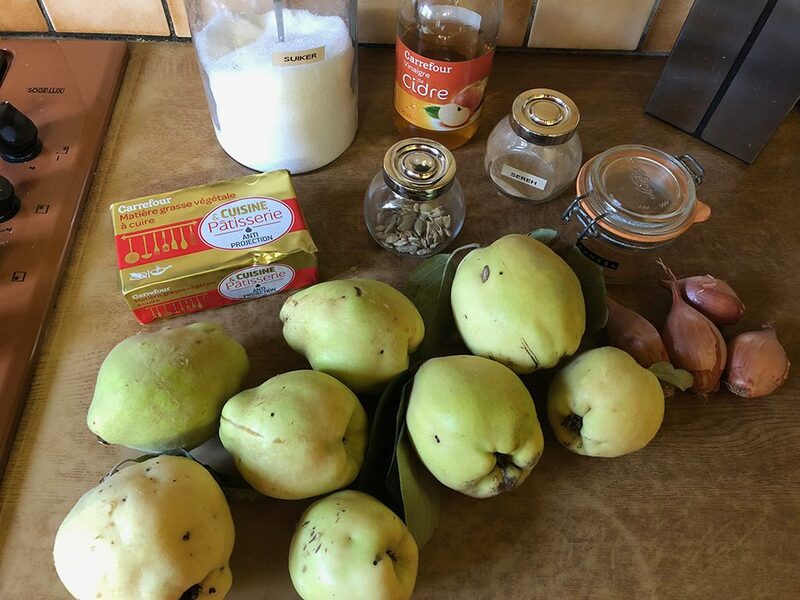 Let it simmer on low heat until the quince pieces are softened enough. SEASON with some more sugar, depending how sweet you like your chutney. REMOVE cardamom pods. 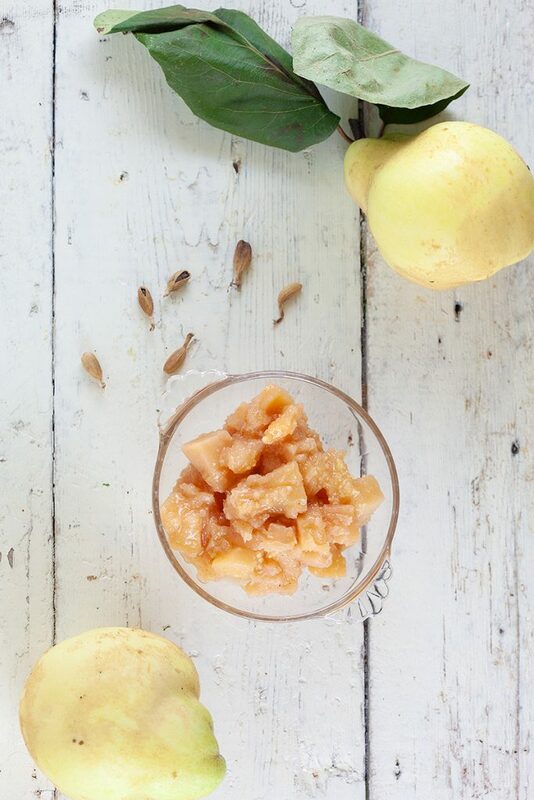 You can serve this lovely chutney immediately, or store in weck jars. Make sure the jars or sterile and ADD the chutney while it’s as hot as possible and set upside down for a short while. Enjoy!